Holger Dalkmann says now is the time for countries like China to "leapfrog" to more sustainable modes of transport. Photo by Remko Tamis. Holger Dalkmann was recently announced as the newest director of EMBARQ (the producer of this blog.) An avid cyclist and a geographer by trade, Dalkmann assumes his role with a strong background in business development, research and policy in both transport and environment. 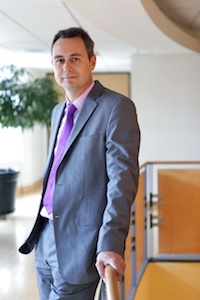 Prior to his new role, Dalkmann worked for the Transportation Research Lab and as a policy adviser for governments in Asia and Europe. Dalkmann consulted international organizations like the Asian Development Bank, World Bank, and the United Nations Environment Program on issues of transport and climate change. His depth of experience and knowledge of the transport and climate change sectors uniquely qualify Dalkmann to lead on environmentally and financially sustainable transport solutions to improve quality of life around the world. In order to get to know Holger Dalkmann a little better and to understand his vision for the future of sustainable transport, we asked him a few questions. Can you describe the “Avoid-Shift-Improve” paradigm. What was your role in defining this approach? What is its purpose? The message is simple. “Avoid” is about reducing the lengths of trips, reducing the number of trips, and also making it easier to avoid travel, like working from home. This is crucial for our work because it’s about urban development. It’s about accessibility. To “shift” is to move towards environmentally friendly modes of transport, which in most cases is about walking, cycling or public transport. And third, “improve,” is about technology’s place in transport. It’s about fuel efficiency, it’s about vehicle efficiency, but it also goes beyond that. We also improve the impact of how to travel in terms of information. It is especially great to see that after the Bellagio Declaration and with strong support from the Partnership on Sustainable Low Carbon Transport (SLoCaT), the phrase is now picked up by lots of national and international bodies as a guiding principle. There is one misunderstanding with the concept when it comes to development and developing countries. In countries like India and China, the modal split is actually quite healthy from a carbon point of view. Lots of people in India are walking. The message is less about shifting the existing car use towards sustainable transport; it’s about improving the quality of life and accessibility for people. It’s about allowing development. It’s more about preventing the shift than the actual shift itself by improving the situation for pedestrians, cyclists and public transport users. You’ve been in the field of transportation for 15 years. How has the industry changed over the years? It’s the first time sustainable transport is part of the discussion on road safety. EMBARQ has been working diligently to improve road health and safety in Mexico, Brazil, India, Peru and Turkey as part of the sustainable transport agenda. In fact, EMBARQ joined the U.N. Decade of Action for Road Safety in order to save five million lives in a 10-year period. Also the latest declaration from the Sustainable Transport Forum (FTS) in Bogota, Colombia is a great example of how that language has changed. But language is not the only thing that has changed. We’re also seeing a way in which transport proejcts are being financed. For example, the Asian Development Bank’s Sustainable Transport Initiative Operational Plan, a long-term strategic plan on lending and technical assistance, focuses on accessible, safe, affordable and environmentally friendly transport projects. There’s also a strong international recognition that following the paths of the Western world— focusing on motorization, providing infrastructure solely for cars and building more flyovers—leads to more congestion and more problems. But we knew that 15 years ago. I started working in China at the end of the 1990s, and that was already our message. Unfortunately, many people were not listening. Now, there is more recognition of the problem, of the causes, a change in language, and a start to change in terms of investments from development banks. There is a paradigm shift towards sustainable urban transport. So, we made some progress towards a recognition for the need of sustainable transport, but at the end of the day, we’re still on the wrong track. How do you think trends in transport will change in the next 10-15 years? Three countries that EMBARQ is currently working with—India, Brazil and China—are absolutely crucial in paving the way either to the right way or the wrong way. My hope for China is that it really learns its lessons out of Beijing and Shanghai. As China is moving towards urbanization, I hope they take the role of a good transport system into account. Some solutions are coming from the so-called “developing countries,” like bus rapid transit from Brazil and Colombia. Aguascalientes, a housing development in Mexico, is a great example of a city collaborating with developers to find solutions. These solutions are also applicable to the rest of the world. To what extent is transportation policy the most effective at the local level and when does it have to be scaled up to national or international levels? Cities understand their problems best because they know where people live and work, how to get from Point A to Point B, as well as the safe and dangerous neighborhoods. Every city is different. There is no such thing as an ideal blueprint. When we talk about the policy mix of solutions, cities always differ because each one has a different culture and climate. So, each city must find its unique approach to solving problems. But there is a responsibility at the national and international level, too, especially in providing the right knowledge and the right framework to proceed with sustainable transport. For example, India right now is coming up with a request on getting mobility plans for all of its cities. The national government is thinking about ways to encourage cities to set the framework and objectives on how to come up with a master plan with clear strategies. What’s the role of developing cities in taking the lead on sustainable transportation? There is already a lot of knowledge around good transport. 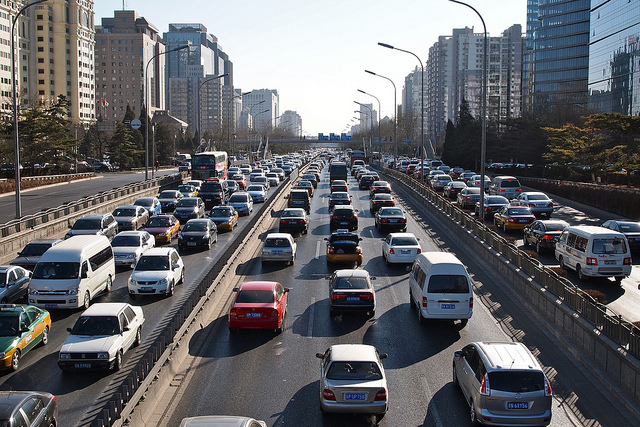 Lots of cities in developing countries have the tools to achieve sustainable transport. I believe that there is a need for providing the right showcases—making the experience of each city visible. What can developing cities do to avoid the mistakes of developed cities? The biggest mistake developing countries made in the last 30 years is to try and replicate the Western development model and look to the West and Europe for solutions. Instead of following in the West’s path, leapfrogging over our mistakes and going straight to a sustainable system would be ideal for developing countries. We often publish and focus too much on “good” and “best” practices. I’d actually like to see some more work on “bad” practices because there are a lot of lessons to learn. Is there a specific piece of policy or news that you’ve been following? And why? One of the things that strikes me currently is a debate in Beijing on a ban that restricts the purchasing of cars. The debate is whether to abolish the ban and open up the roads for access to everybody at every time. Currently, the rules dictate that only 240,000 or so license plates can register to drive this year. Car buyers wait to be selected from a lottery before they purchase their vehicles. If they really pursue this policy, then Beijing will get into more trouble. They recognize that they have a problem so they came up with these restrictions on car traffic. If they stop the rules then congestion will be worse than ever, but as of right now, quality of life still needs improvement. The most important thing to understand is that one piece of policy, like implementing a BRT or changing cycling rules, is not going to make a city sustainable. My new favorite example of this is H Street in Washington, D.C., where I now live. They’re building a streetcar there, which is wonderful, but I am a cyclist and the space you have in between the parked cars and the tram tracks is not enough for a cyclist to pass through. If you’re riding in that space and a car door opens, then you’re going to have a collision. It’s even worse if the streetcar is suddenly behind you. Somebody planned this without actually thinking of the cyclists. There are so many great examples of how a street layout can look with trams. It’s really about understanding the bigger picture and understanding the consequences of your actions. What are the obstacles in attaining sustainable transportation? What will it take to overcome these obstacles? In terms of the really big picture, it’s about finding the right way to deal with auto manufacturers. One of the big drivers for national transport policy and infrastructure policy is the influence of the automobile industry. It’s about finding a positive dialogue that is not about banning cars but instead is about finding the right place for them. Cities, from my perspective, are not the right places for cars. Cars are really great if you have to go to remote places or if you have to transport something heavy, but they’re not right for cities, especially when they cause congestion. In cities, people have options: they can walk, cycle or take public transit. This doesn’t mean that cars shouldn’t have any business in the future, but their role in cities should be limited. There is a place for cars but that doesn’t mean building more and more roads, for which auto manufacturers are lobbying. Most car manufacturers don’t understand that people working on sustainable transport are not the enemy. Second is the construction industry, which many people don’t look into but it’s a big business that benefits from the presence of cars. We must start a positive and constructive dialogue with them in order to find what to build and how to build them. The third is policy. We need more visionaries. We need people who have a strong belief in new values. New York City Mayor Michael Bloomberg, for example, is a fantastic example of someone who can make things happen. The former mayor of Seoul, Lee Myung-bak,who is now the president of South Korea, is another example. At the end of the day, it’s about people and how transport services can improve their quality of life. Lastly, youth have an important role to play, especially when it comes to determining in what kind of a place they want to live. Using innovative channels of communication, like blogs, Twitter and Facebook, are crucial in starting this dialogue with them.